In the short time we’ve been on the ground since launching Sling & Stone New Zealand, we’ve partnered with some impressive local innovators and inspiring young minds. We wanted to share one in particular today — our work with social enterprise Inspiring Stories. Over the course of three months, we worked with Inspiring Stories to raise awareness of its Festival for the Future. Held in Auckland from 4-6 August, it brought together some of New Zealand’s youngest innovators and influencers to discuss some of the biggest issues currently facing our generation, and help build ideas for the future. 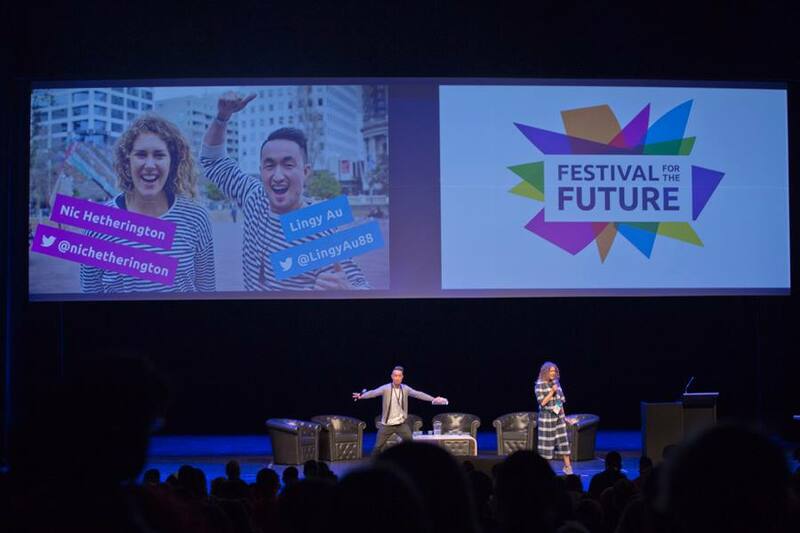 A number of national and international speakers were invited to participate in the festival to help tackle the challenges facing young Kiwis and inspire action for the future. We were fortunate enough to work with some truly exceptional leaders in their fields, like Irene Wakefield, co-founder of PrePair NZ and Toby Carr, CEO and founder of DeXTech. This meant we had a clear opportunity to tell some fascinating, truly human stories. We believe data can help tell powerful stories, and we thrive on getting the chance to prove this. A key part of our mission at Sling & Stone is to tell the kind of stories that challenge perceptions and enact change for the better — so we find this kind of work incredibly rewarding. In the lead up to the Festival for the Future, we helped them forge a strong relationship between VICE New Zealand and the festival organisers. Over the course of the three days, VICE ran several workshops looking at the future of news and storytelling, to an engaged and captivated audience. It was great to be part of VICE’s discussion about the future of media and publishing in New Zealand, a topic we are incredibly invested in. We had such a great week at the Festival for the Future, and although we do it for the love, it’s amazing to hear that our work is bringing about results for our clients — partners we choose carefully, and work with so closely.